Denim shorts + maxi cardigan. I love how a simple white t-shirt and denim shorts combination looks, but adding a maxi cardigan to it instantly transforms the outfit. I'd wear a really light cardigan for these hot days, though. All-white. Wearing head-to-toe white is best for this season. It looks fresh and clean, and your clothes absorb less heat. For those of you who think wearing all white is too much, like me, I recommend adding pieces in blush or creme tones to the mix. Flowy shorts + blouse. 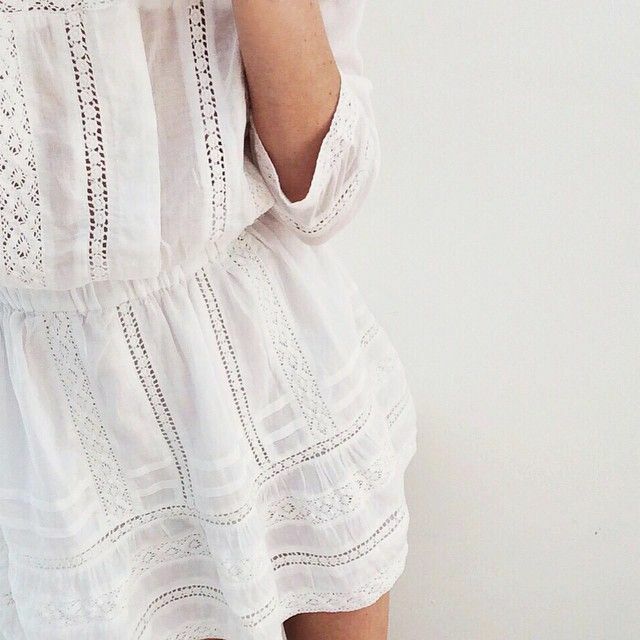 Wearing flowy pieces all season long is the best idea. It's a lot more comfortable and since you're still showing skin, you don't look too big under all of the loose fabric. I'd combine the look with classic accessories. One-piece suit. Even though I love different bikini styles, I've always liked a one-piece swimsuit a bit more. For me they're more feminine, classic and comfortable, and they can look as stylish. Plus, it conceals my not-so-toned tummy. What are your styling ideas for summer? Images from style inspiration, creators of desire, stylekick, the chic street journal, everything but water.